Airtel, Tata Sky DTH Channel Selection Process: TRAI’s new framework for DTH and cable channels will go in to effect from February 1, 2019, which means subscribers have till January 31 to choose their 100 channels or more. DTH providers like Airtel Digital TV, Tata Sky, Dish TV as well as cable operators and multi-system operators (MSOs) have put out channels list along with individual prices for each channel. Subscribers need to select a minimum of 100 channels. 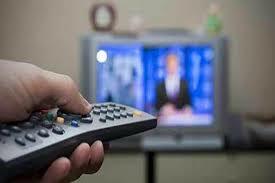 As for the pricing, a base monthly network capacity fee (NCF) of Rs 130 plus 18 per cent GST will apply, if one chooses 100 channels. Each HD channel will count as two SD channels in the list of 100 or more. If users choose more than 100 channels, the NCF is Rs 20 in a slab of 25 channels. The price of paid channels or bouquet packs is extra depending on what you choose. One can select individual channels and customise their own monthly pack or simply choose packs recommended by operators. Most recommended packs will be based on the user’s TV patterns and the channels that they are currently subscribed to. Airtel Digital TV subscribers can head to Airtel’s official site or MyAirtel app to get started. On the site, users will have to log in with their registered mobile number and enter OTP sent to it. Once logged in, users can select from Recommended, Broadcaster, or Ala-Carte packs. Once done with selecting 100 channels or more or pre-customised monthly pack, users will be shown the total monthly amount that they will have to pay. If okay with it, click on Confirm. Again users do not have to pick the channels recommended by Airtel. Customers should note that Airtel’s list includes the 25 Free to Air DD channels. There is no option to remove them from the list. So when you start choosing channels individually, you might find the number count starts at 25. Airtel customers should also note that individual channels prices are being shown with the GST included. Users can type their preferred channel in the search bar and add it to their pack. Users can also pick between HD or SD resolution. The former are more expensive. Tata Sky’s process is similar, wherein subscribers can go to the official website of the company or the official Tata Sky app on Android or iOS. The app and the website will ask users to log in using their mobile number or the subscriber ID as well as OTP sent to the registered mobile number. Tata Sky shows Recommended for you, Tata Sky pack, as well as all packs and channels option. So one can either choose one of the curated Tata Sky monthly packs or choose their 100 channels or more. Users do not need to pick the Tata Sky recommended pack as it is showing inclusive of taxes on Tata Sky website. The NCF is the same, which is Rs 130+18 per cent GST, which is Rs 153. The price of the paid channels are added to the bouquet list. Once subscribers choose their 100 or more channels, the new price pack will also be displayed on the website. For those who have done a longer recharge, Tata Sky says the remaining balance will be adjusted to their account. Dish TV users can log in with their registered mobile number and OTP sent to it through the website or app. Through the website, one can choose between three broad categories – Dish Combo, Channels, Bouquets. Subscribers can filter their search by selecting language or category such as English, Infotainment, Kids, etc. Combo packs are curated packs by the operator or one can select individual channels as well from the Channels list. The basic 100 channels are pre-selected by the operator, though one can also make changes to the list as well. The price will be reflected in the cart on the right side of the page. When done, click on proceed to make payment. Once again the DD channels are mandatory in the list, and you cannot remove them from the list of 100 channels. For those who choose more than 100 channels, the cost will be higher. All operators are showing the individual channel price and bouquet packs by the broadcaster on their website. A bouquet pack has a monthly cost attached to it, which is also added to the bill. I have city cable (local cable operator) dish connection. how do I choose the channels, as we see only cartoon network, some hindi movies channel and sport only.